You all know Life in Color. You all know Sebastian Ingrosso. Krewella. TJR. Dyro. You understand that they are all amazing acts individually, but together make one amazing event. You understand how much fun Life in Color is. That is what Life in Color is doing on New Year’s Eve in Atlantic City – combining all four acts and their guaranteed fun. 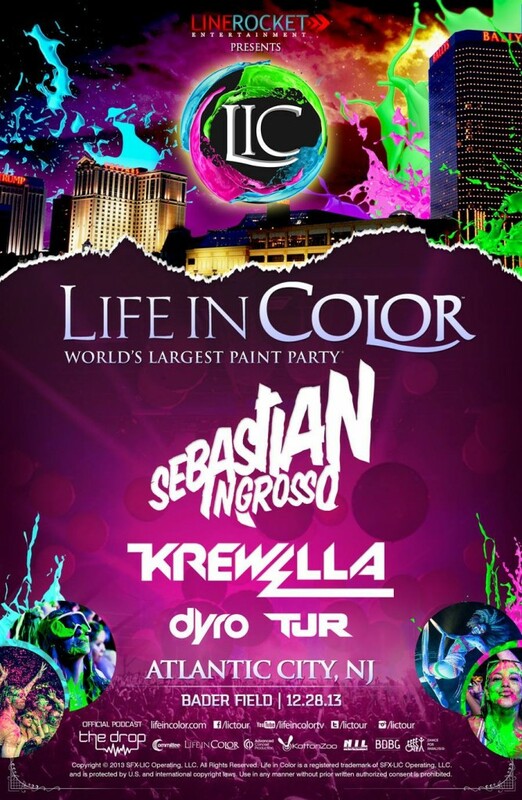 Life in Color is teaching Atlantic City how to DO AC properly with this event. This amazing concert is taking place on December 28th at Bader Field in a huge heated tent! This is one event that if you are in the tri-state area, you should have need to attend this amazing concert. Take the fun of each DJ and combine it with paint and amazing visuals and you get this event. There are times in my life when I say that I won’t go back to an event because of the whole been there, done that. That is the feeling the whole time until I see a trailer like this. Life in Color was that situation for me. I thought I wouldn’t do it again until I saw this trailer and now I definitely want to go. New Year’s weekend is jam packed with amazing talent and Life in Color shows everyone else up. To bring together Sebastian Ingrosso, Krewella, Dyro, and TJR is an all star lineup that is sure to impress any fan. 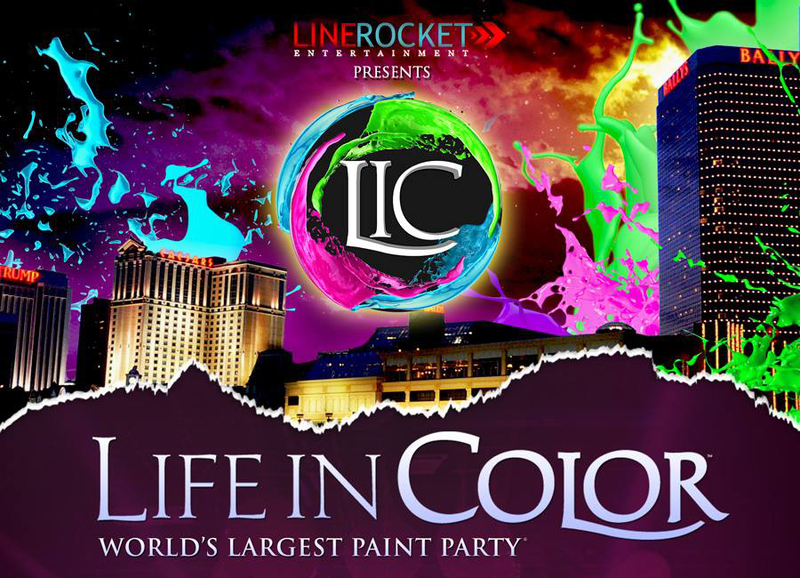 This will be the second Life in Color event to grace Atlantic City. The first was actually on New Year’s Eve with Steve Aoki, David Solano, and Adventure Club. It was absolutely amazing and I was soaked in paint after taunting them from the front row to soak me! Below is the trailer to help persuade you to attend the event with me. Kickstart your 2014 with Sebastian Ingrosso, Krewella, Dyro, and TJR!